Portland Oregon: Neighborhoods, schools, home prices, parks, rentals, outdoors, weather. Listing courtesy of Bella Casa Real Estate Group. Lovely country acre with its own creek! Just outside of Carlton on a private lane. 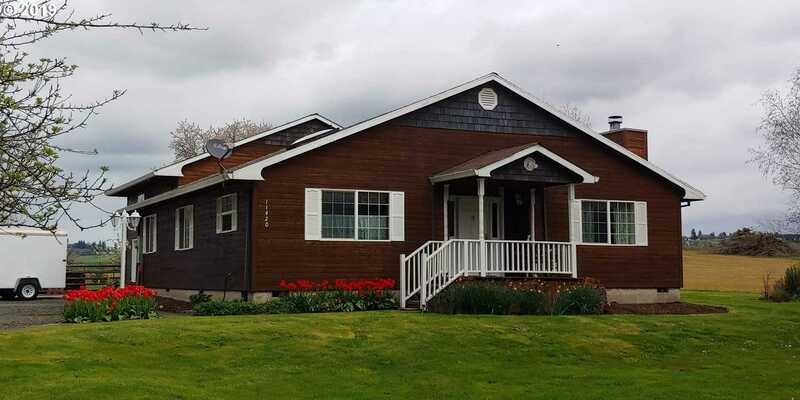 3Bed/3Ba with open plan to enjoy vaulted ceilings and a cozy fireplace. Garage has finished office and full bath down and a huge bonus room w/kitchenette upstairs! Use for guests, media room or possibly add bath for studio. Fruit trees, bluberries, partially fenced, play structure, she shed or playhouse. When and how (email or phone) would you like to be reach? Please add me to your mailing list for the monthly Moving to Portland newsletter. It tracks the housing market in the Portland metro area. To read past issues, go to Newsletters. Please send me a list of mortgage brokers and lenders in the Portland metro area. This content last updated on April 25, 2019 18:34. Some properties which appear for sale on this web site may subsequently have sold or may no longer be available. The content relating to real estate for sale on this web site comes in part from the IDX program of the RMLS of Portland, Oregon. Real estate listings held by brokerage firms other than Windemere Stellar are marked with the RMLS logo, and detailed information about these properties includes the names of the listing brokers. Listing content is copyright © 2019 RMLS, Portland, Oregon.